938. Indications for ultrasound-guided hip arthrocentesis in child with hip pain // What % transient synovitis patients have effusion? 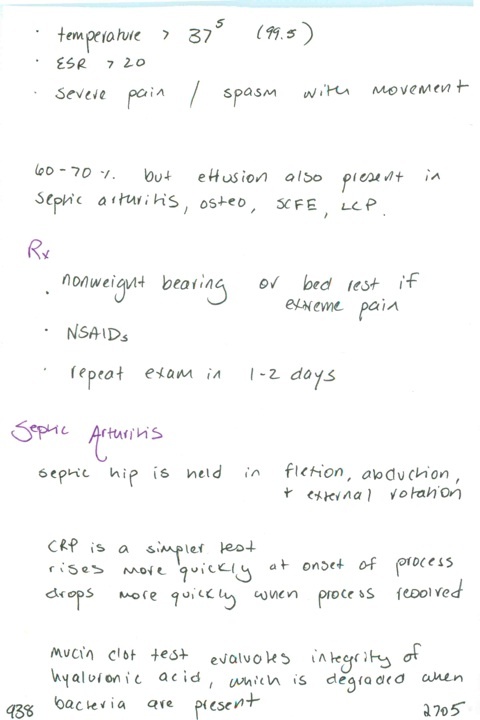 / Rx transient synovitis // Septic hip is generally held in what position? / ESR vs. CRP / What is the mucin clot test?